Given the sheer number of young kids who show promise as young footballers, it is inevitable that the majority don’t go on to play professionally and succeed at the top level. The responsibility of finding future stars falls to club scouts and professional agencies who scour the globe in search of unrealised talent and potential. Chris Nathaniel, sports agent at NVA Agency, has stated that his agency has broadened their search as far afield as Ghana, “due to the talents that abound here.” This global search for the next superstar has inspired us to consider some of the great ‘Near Miss’ stories in football history, where legends of the game were almost overlooked and forced to reconsider their dreams of a career in football. Alan Shearer was born and bred in Newcastle but was turned down after a trial with the Magpies at the age of 15. Refusing to give up on his dream, Shearer was spotted a year later playing for the local Wallsend Boys Club by a Southampton scout, and made his professional debut for the club aged 18. Shearer would eventually return to his home city of Newcastle to finish his career, with a total record of 283 goals in 559 appearances and as one of England’s most prolific ever strikers. Despite proving a controversial figure during his playing days, Roy Keane is still widely regarded as one of Manchester United’s, and the Premier League’s, greatest ever players. 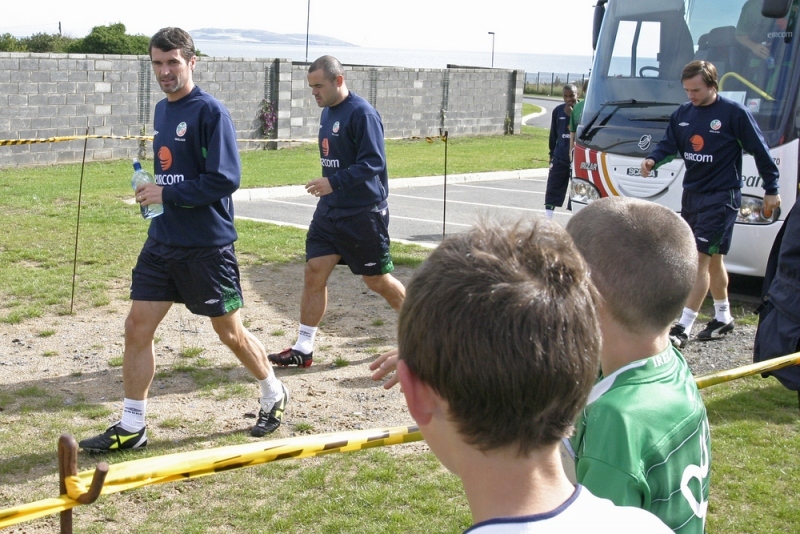 His career had a slow start however, with Keane failing to secure a professional contract as a teenager despite supposedly writing a letter to every English Football League club in the hope of doing so. It wasn’t until aged 18 that Keane would be spotted playing by a Nottingham Forest scout and eventually be brought back to play under Brian Clough at the City Ground. The final player in this list is Crystal palace and Arsenal striker Ian Wright. Despite going on to score 240 goals over a fifteen-year career, Wright failed trials at both Southend and Brighton as a teenager and wasn’t offered a professional contract until just a few months shy of his 22nd birthday. Having achieved considerable success with both Crystal Palace and Arsenal, Wright will go down as one of the Premier League’s greatest players and his story will continue to provide inspiration to many young players hoping for their big break in the game.